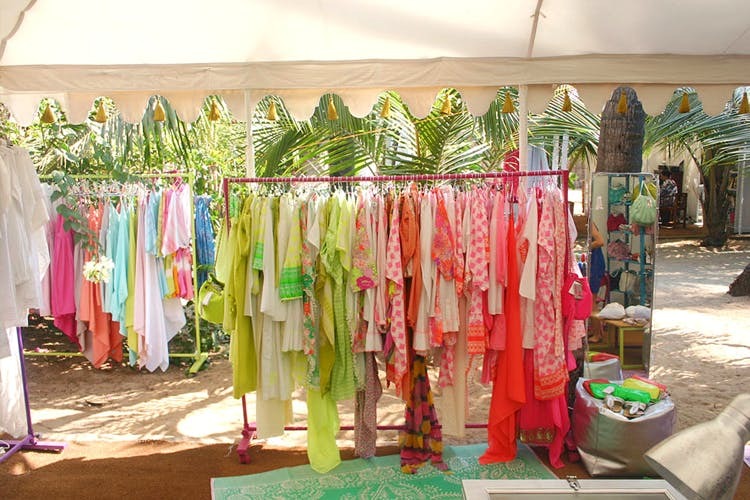 The Shop by Nana Ki Paris is an Indo-French designer boutique in Amarya Shamiyana resort on Ashwem beach, specialising in clothing, accessories and home decor. Woven together by passion and heritage, I can’t resist anything available here! Displayed by colour, the varied hues of pastels and bright shades include lounge wear as well as party outfits. You don’t need to venture any further to get your fill, as they blend both Indian textiles with Western sensibilities to create comfortable, stylish and contemporary wear. The Shop ranges from elegant loose tunics and tops for the beach, bandanas, fitted dresses and pants, sultry shorts, cocktail outfits that will delight every woman and fit every shape. The collections are created of fine and soft cottons in a vibrant colour palette, so a shopping frenzy is guaranteed! Step away from your personal wardrobe shopping and look around for cute accessories for your home and a casual shirt or perfect pants for your guy.